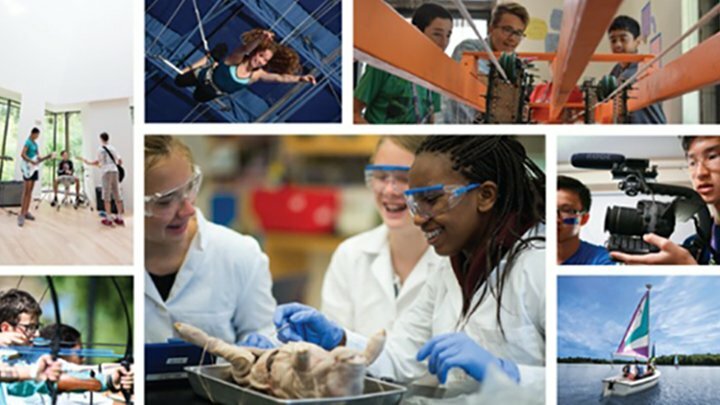 In November 2014, summer camp administrators from five urban camps in Wilmington, Delaware entered the Exploration Center — EXPLO’s headquarters in Massachusetts — for three days of intensive professional development to learn EXPLO’s methods. 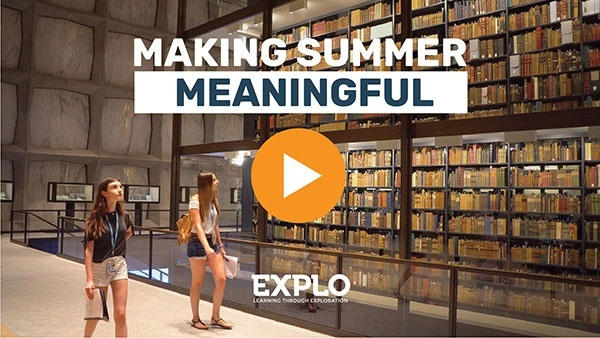 If EXPLO was the best in the game, could they take that secret ingredient and apply it to their own programs at home to build better summer programs for their kids? It could have been a scene from Willy Wonka. The EXPLO warehouse — with its maker labs, video production studio, and endless materials — was worlds away from what they knew. “I thought, ‘What is this? They build hovercrafts?’” says Matthew Johnson, camp director at the Hilltop Lutheran Neighborhood Center. Most of his campers lived at or below the poverty level. Johnson and the other administrators came to EXPLO as part of SummerCollab — at the time a brand-new consortium to help community summer camps in Delaware stanch learning loss among low-income kids. The situation was dire: Kids were losing three months of learning on average over the summers. The problem was not any lack of dedication on the part of the camp directors. Compounded year after year, their campers’ learning loss left some as many as five grades behind their peers. And the prospect of reversing that trend began to look ever more hopeless. So what could they do? How could these camps make the leap from day-to-day survival to the kind of success that reverberates over a lifespan? This was more or less the question that Lindroth posed to EXPLO President Moira Kelly earlier that year. 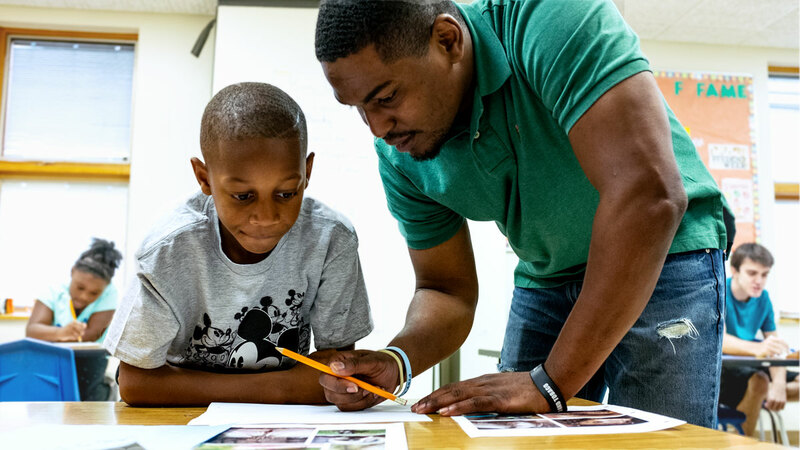 At the time, Lindroth was a 24-year-old Teach for America operations specialist collaborating with community organizations in Wilmington to better understand and meet their needs. She had a grant from Barclays; a community mandate to make change; and the audacity to pick up the phone and make a cold call to the director of an organization she considered a national model of summer excellence. In an environment like that, how could learning stand a chance? To Kelly’s eye, the problem wasn’t curriculum, but culture. She wanted to bring the directors to EXPLO to immerse them in new ideas of what was possible. The possibilities were tantalizing, but for many of the camp leaders, the dazzle was tinged with discouragement. “This is what rich people in New England do,” thought one participant. Matthew Johnson found some of the ideas as fantastical as the hovercraft: “How are we going to afford these things? Do my kids have the capacity to make this happen?" And then came the most challenging notion of all: Camper choice. Kelly insisted that camps could not teach good citizenship by demanding compliance from their campers; they would have to give kids opportunities to make decisions for themselves. The camp leaders left the EXPLO retreat minds ablaze with new ideas, but facing a bumpy re-entry into the world they operated in. They would have to apply what they learned at community centers that primarily aspired to be oases of safety in a city with a violent crime rate quadruple the national average. SummerCollab was there to step in and help with the logistics. 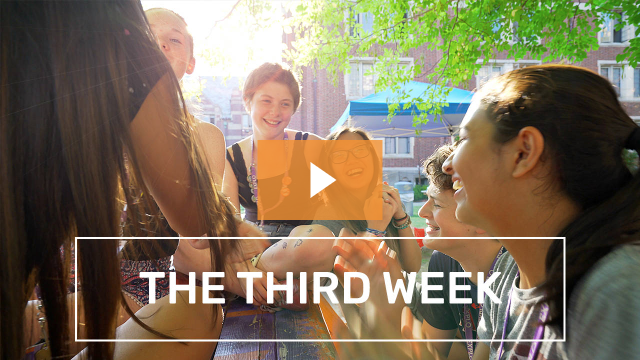 In that first year, with so many patchwork organizational systems to demolish and create afresh, SummerCollab didn’t immediately sweat student outcomes. Instead, they made a rubric for camps’ operational progress and focused foremost on that. The idea was simple: You can’t expect functional, healthy learning from kids until you have a functional, healthy camp to work within. Along the way, EXPLO offered a steady stream of feedback – Kelly advised Lindroth on a monthly basis while EXPLO staff came to Delaware for trainings, consultations, and site visits. When EXPLO told camps they needed to start hiring staff far earlier than their usual May or June, the camps switched gears to hire in January instead — and SummerCollab was there to organize a 3-hour recruitment event where camps could interview as many as 50 candidates. Over the years, the camps kept refining what worked. Matthew Johnson’s camp overhauled its planning process so that preparation happened all year long, rather than in the two months before the summer began. Johnson found that, given his camp’s tight resources, some of EXPLO’s ideas had to be scaled down, or lessons adapted — but that didn’t render them inoperable. 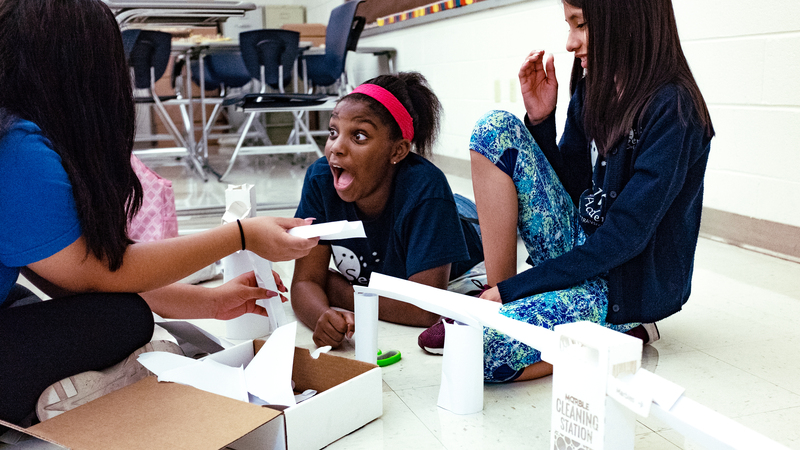 The challenge was not unlike one of EXPLO’s lesson plans, requiring kids to pull off feats of design and imagination out of nothing but cardboard. The key was to be creative with limitations, rather than defeated by them. That thinking has ignited Johnson’s campers, as well. Now, the kids at the Hilltop camp are literally knocking down walls — with catapults they’ve designed and built themselves. At the YMCA of Delaware, Kristina Woznicki took a bold stance with her staff: That first winter, she chucked every old way of doing things out the window. Together, they would start anew. Every aspect of camp organization was up for discussion, and suddenly, people started sprouting ideas. “They were able to say, ‘I never did like this or that. How can it be done better?’” she says. And despite initial resistance from some colleagues, she started granting campers greater choice in their activities. Now, the camp offers a menu of choices within different categories of activities. The benefits have cascaded throughout the camp — kids who used to act out are better behaved, the other kids who suffered from their disruptions can now freely participate, and the counselors are able to teach what they’re passionate about to campers who want to be there. To make these choices possible, Woznicki’s team had to revamp the camp’s scheduling system. Originally, the entire schedule fit on one piece of paper, which dictated that kids assigned to a particular block would follow a pre-arranged schedule of activities. Now, Woznicki has a master spreadsheet that can be used to generate customized schedules for each counselor. Any tweak to the master schedule re-populates in the individual ones. And these schedules contain every grain of information a counselor needs — from rooms to transition times to lesson plans to cleaning instructions. 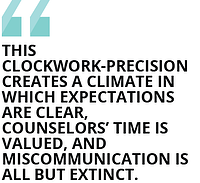 This clockwork-precision creates a climate in which expectations are clear, counselors’ time is valued, and miscommunication is all but extinct. Into this finely tuned system is input camper choice. After experimenting with a number of different approaches, the camp now uses a digital survey tool that inputs directly to the spreadsheets. Counselors can collect campers’ activity choices on their cell phones and within 20 minutes, have printed rosters of their campers for each activity. These new efficiencies have sparked a surprising domino effect: “What we learned at EXPLO has overflowed outside our camp to the rest of the building,” Woznicki says. 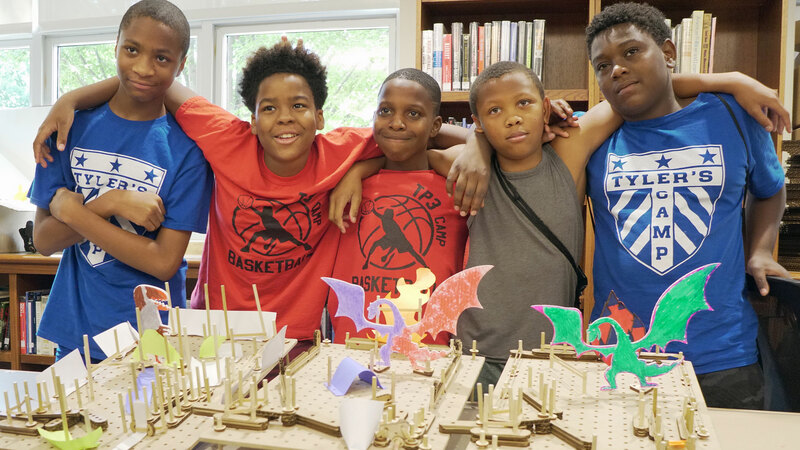 The YMCA’s teen program has also grown as cohorts of students graduating from the summer camp are motivated to stay involved with the organization’s programming. Some have even returned as camp staff. 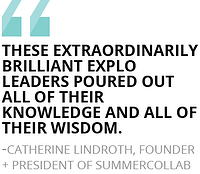 Meanwhile, SummerCollab’s success has not escaped the notice of major funders — including the Longwood Foundation, Capital One, and WSFS — who have helped scale its efforts. 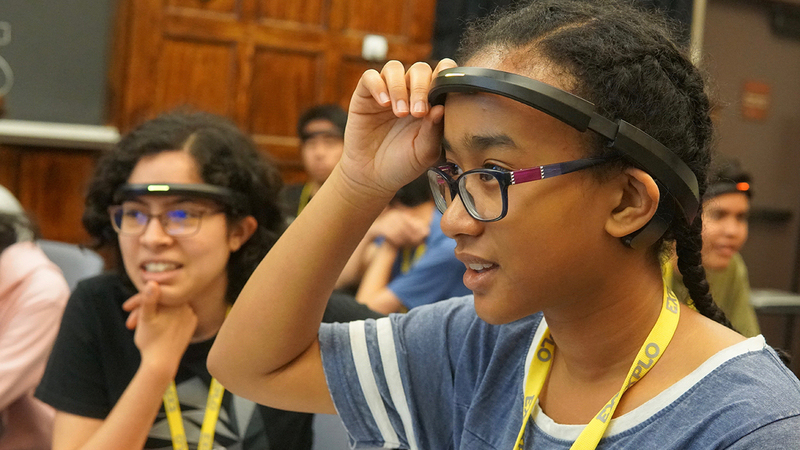 Since collaborating with EXPLO, SummerCollab has grown from a $125,000 per year organization that partnered with five camps to one with an annual budget of $1.3 million and 19 affiliated community centers. 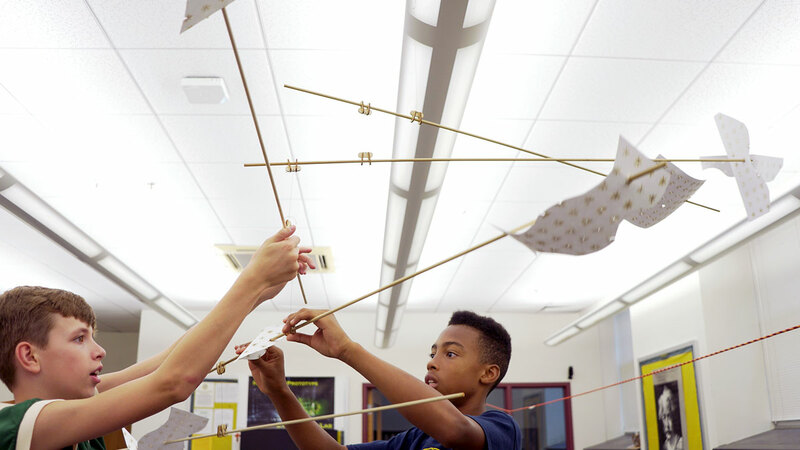 Their founding vision is no longer in their mind’s eye, but plain to see in countless Delaware communities: students at SummerCollab camps now gain 3.7 months of learning on average over the summers. As exciting as that outcome may be, Lindroth and Kelly insist it should not be surprising. 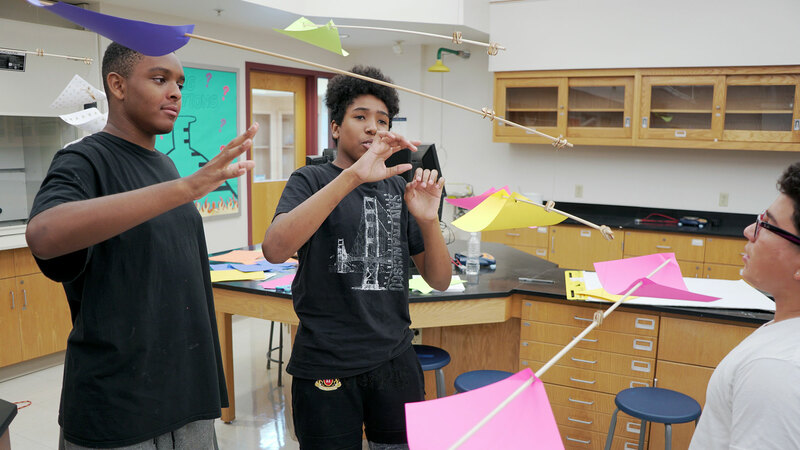 Despite their many challenges, the SummerCollab camps always had one natural resource in abundance: the curiosity, the energy, and the resilience of their kids. This radical cultural mindshift, Kelly says, is the key to organizational change.